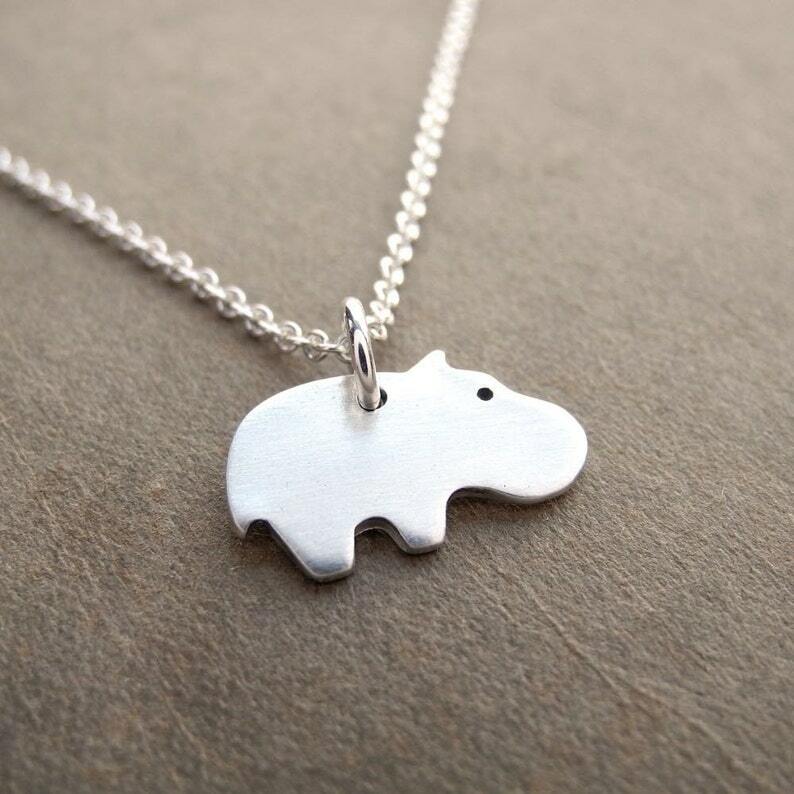 My Tiny Baby Hippo Necklace is handcrafted in fine silver. After fabrication, I apply an oxidizing patina and then hand buff to bring out the details. The back is stamped with my dragonfly maker's mark and ".999" to signify fine silver. 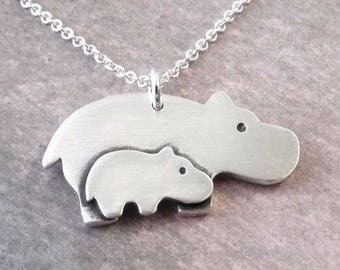 Your choice of sterling silver chain is included. The model is wearing a 16" round cable with a hippo of the same size. S I Z E : Tiny! About 1/2" tall (13 mm) including ring. This item is FABULOUS, needed for my daughter's 18th and timing was tight, but Sue was amazing and it arrived on the actual day!